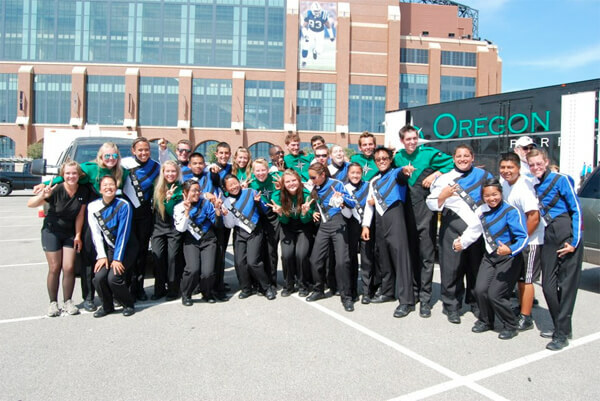 This was taken at the World Championship Quarterfinals 2011 It is of the Oregon Crusaders and the Blue Devils B front ensembles. It is basically showing what drum corps is all about. It's not about winning or losing. It is about showing off what you have and know; but it is also about making friends and learning new things. This picture shows that, because although we come from different backgrounds, and BDB was first while OC was second, we came together as friends and took a picture together. Friends were made that day, and people are still friends because of what we did.